From iconic goals against bitter rivals to moments of trophy-winning joy, Spurs have a had players over the years who have inspired many a song and pub chatter. But who were they and who were the best of them? Gascoine will forever be remembered as the Ballon D’or winner who never won it. He had a surplus of skills but also a wall of inner demons to deny him that honour. At Spurs, where he spent four years, his footballing qualities were hard to overlook. Stardom had already taken a Gazza dimension before he secured himself a place in Spurs folklore with a thunderous free-kick against rivals Arsenal. Gazza was a footballer of contradictions– exquisitely skillful yet troubled, famous yet unable to deal with it. Klinsmann seemed like Frankenstein when he moved to Tottenham in 1994. Having helped West Germany eliminate England four years earlier, he was unsurprisingly a potential target for flying eggs and rotten tomatoes at his new club. That was to change on his debut when he scored a header that shaped a 4-3 win. He ran to the touchline and took a nose-dive, ensuring the emergence of a protoype for future memes. The Bulgarian had scored quite the goals in Germany for Bayer Leverkusen before he moved to Spurs in 2006. It didn’t take long for White Hart Lane to notice they was something 'off' with the Bulgarian, in a good way. 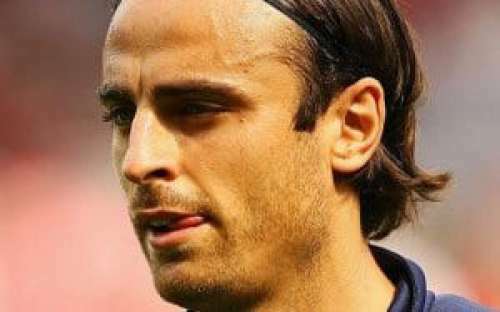 Despite often beng blamed for laziness and overlooking the physical demands of the Premier League, Berbatov could also send defenders into deep trance with superior technical skills and a first touch on par with Bergkamp’s. The ‘come back home’ sentiments still reverberate at Tottenham ten years later. When Crouch started his career at Tottenham, he looked like something that might have grown out from a magic been, but not much else. Consequently, he played zero matches in two years. But nine years later, his goal-scoring feats around the Premier League had convinced Spurs to give him another go. They were not wrong to do so. Alongside an amazing Gareth Bale, Crouch’s goals drove his team to the quarter-finals of the Champions League where he anticlimactically ended the dream earning himself a sending off. By 2011, when he moved to Stoke, Crouch’s clear addition of a scoring ability to his tall frame was undeniable. For that, and the European run, he remains a crowd favourite at White Hart Lane. Hoddle was an instrumental part of Spurs’ UEFA winning squad in 1984. In fact, on the way to the trophy Hotspur dismantled Cruyff’s Feyenord Rotterdam by 6-2 aggregate. The Dutch legend was so impressed by Hoddle he walked into the dressing room to exchange shirts with him after the match. Hoddle bagged 110 goals in 490 matches at White Hart Lane. When Teddy Sheringham left in 1997, Tottenham were left short of attacking brainstorming. A certain unsettled and talented Newcastle midfielder was just the right man. Ginola was just as gifted as he was frustrating for his tendency to attempt rocket-like blast-offs after the slightest of touches. But his incisive runs and long-range shooting quickly warmed the White Hart Lane faithful. He played 127 matches in three years for the club and is considered one of the most talented modern footballers to play for the club. Lineker’s goal-scoring talent was evident from the start of his career, with fruitful spells at Leicester City and then Barcelona. When Terry Venables brought him to the Lane, Lineker response was to top the chart for the following three seasons. But his fan-favourite status was cast in bronze with a brace against Arsenal in the FA Cup semifinal of 1991. He scored 67 goals in 105 matches at the North London club before he moved to Japan to play for Nagoya Campus Eight. He retired merely a year before Arsene Wenger took over at the same club. The best way to win a trophy is to get a World Cup winner. Ardiles had won it with Argentina before moving to North London in 1978. Despite lacking in physical size, Ardiles’ technical mastery and determination helped him form the core of Spurs’ midfield, along with Hoddle, that was to bring two FA Cups and the UEFA cup. Ardiles spent 10 years at Tottenham and played 221 matches. Players had outgrown Tottenham Hotspur before, but none was more deserving of the labels than Bale. For five years, he terrorized Premier League defences with his blinding pace. He single-handedly carried the team forward at one point, almost helping them win the title along the process. But if one swallow does not make a spring, as the saying goes, it certainly gets the full credit for trying. Bale won individual awards pretty much every season at Tottenham, and even the most eloquent of fans found themselves strapped for words in what they had the pelasure of witnessing before Madrid came knocking. Brian Clough called him ‘Tottenham Hotspur’s greatest player ever’. Not far from the truth in those times. Mackay had a steady blend of all. Presence that would’ve made Roy Keane ask him for money to get ice-cream, talent and determination. His teammate Jimmy Greaves remembered how he would often drink free beer after winning bets that he was taller than his 5’7” teammate. Mackay was a key member of the double-winning squad of the early 60s. He played 268 appearances for Spurs. Roberts was the kind that takes the game by the throat when nobody else in his team is present. Hard as nails, they even named a brand of glue after him, Roberts was cherished for his disciplined and self-sacrificing attitude, consistently giving his body and soul for Tottenham. He was another member of the squad that won the 1984 UEFA cup. Deep back in Spurs’ history annals, Brown was the magician who orchestrated the club’s first FA Cup win, the club then still non-leaguers. Brown bagged 15 goals in the tournament that year, scoring in every round along the way. He only played one season at Tottenham but racked up an amazing 45 goals in 57 games. Another celebrated key member of the 60s winning side, Greaves was a goal-hungry monster spearing the attack. He rarely fell below 25 goals as a season, achieving a record 44 goals in 49 games only in his second season at the club after moving from Milan. In his overall Spurs’ career Greaves netted the ball 266 times in 381 matches–a ratio of 0.7 goals per match. Considering Robin van Persie’s 0.5 for Arsenal, I’d say that’s pretty good. If Mackay formed the skeleton of Tottenham’s defence in the early 60s, Blanchflower was the brain. With his ability to dictate the tempo, he captained his club to a record in English football, the first double since Aston Villa in 1897. Success continued with another FA cup and the European Winners’ Cup the following year. Blanchflower won two Football of the Year awards during his 10 years at the Lane. Rose has scored only eight goals Tottenham since 2007, but one of them was enough to turn him into a cult hero–his first goal. Back in 2010, ten minutes into the match, Rose met a loose ball with a poisonous volley from 30 yards against Arsenal in a packed White Hart Lane, sending everyone but Arsenal fans into ruptures. Rose has failed to replicate the brilliance of this moment, but its flame is still burning today. Pavluychenko will be remembered in Spurs folklore as the man who scored an amazing long-range brace against Birmingham to earn the club a spot in the Europa League in 2011. He was also deemed ‘a bit lazy’; a tally of 21 goals in four years testify to that. Ex-Hotspur manager Harry Redknapp joked that the Russian striker’s interpreter often got more tired than him, running out to deliver the coach’s messages in training. An effective striker, Smith was a victim of the times he lived in. With a salary-top established for footballers, he struggled to feed his gambling habits off the pitch. On it, he scored in both FA Cup finals for Spurs in the early 60s and was part of the team that won the European Winners Cup. If Smith had played 40 years later, he would’ve been a millionaire. His skills would’ve required it. A goalkeeper scoring a goal? Tottenham can brag about their own Paul Robinson, one of only three to have done it in the Premier League. He scored it against Watford from a free-kick 80 meters away from goals. If his consistent performances before this goal had earned him a fan-favourite status before that, this cemented it. 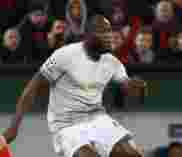 His form took a nosedive in his last season, however, before he moved to Blackburn in 2008. He made 137 appearances for Spurs. Mr. Spurs himself, King spent his entire 16-year career at White Hart Lane. His consistency was also backed by exemplary performances at the heart of defence. Thierry Henry later recalled facing King in the North London derby and called him ‘possibly the best defender I ever played against’–that says a lot. King accumulated 268 matches for Spurs. But if it wasn’t for a dodgy knee, he would’ve broken a few appearance-records for sure. Unlike his Manchester United spell, trophy success eluded Sheringham at Spurs. He was however appreciated by the fans and teammates, Jurgen Klinsmann called him ‘the most intelligence striker partner I ever had’–coming from a World Cup winner, that says a lot. His stats speak for themselves. Over two spell, Sheringham made 277 appearances for Spurs, scoring 124 goals–a goal almost every other match. Spurs’ other Argentinean golden boy, had two things in common with Che Gevara, a canny resemblance and an ability to orchestrate revolutions from the midfield. The moment responsible for fans wearing t-shirts with his face today came with his goal against Manchester City in the FA Cup final in 1981 –later voted Wembley goal of the century.